Every healthcare organization is unique. 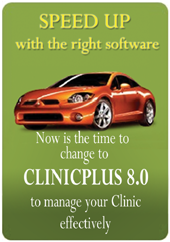 There are quite a few software applications available in the market today that cater to the healthcare industry. Most of these software applications aim to address some of the general needs of the industry. 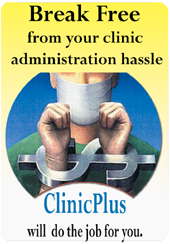 However, each healthcare organization is different with distinctive business processes and business needs. In most cases, the one size fits all out of the box software application approach may not be the best answer for the organization. By developing custom software applications that best fit their unique business need, healthcare organizations have the ability to truly distinguish themselves in the industry as well as with their patients, their staff and their physicians. • Developing custom software applications enable health care organizations to derive competitive advantage and increase patient satisfaction. • Custom software application development addresses gaps in functionality provided by commercially packaged healthcare software. • By developing custom software applications healthcare organizations are able to concentrate on aspects of the business process that are unique to them. • In some cases, there are no solutions available for a specific business need. . Developing custom software applications help health care organizations attend to specific business processes for which no solutions are available in the market. Our highly qualified health care technology team empowers healthcare organizations to attain business objectives by using the latest compliant industry technologies in an efficient and cost effective manner. In addition to developing new health care applications based on business need, our application development services help organizations make feature improvements to existing custom software applications, maintainence of in-house custom software application and the integration of disparate healthcare business applications. • Structured business requirements identification and definition process. Want to find out how we have assisted other organizations? Contact us today to find out more.